How Do You Make Your Home Safe and Secure With Home Automation System? Home automation basically covers your house with some technological efficiency. If you want to install the home automation system in your place, then you have to spend a huge amount at a time. But now there are some home automation designers available who offer different kinds of home automation system with separate features, and you can include these systems according to your budget and requirement. Along with that, home automation has become necessary for your house because, you can save your energy consumption bills as well as you can cover your house with a full security system with this home automation tools. Why do you need a Home Automation System? If you install the home automation system in your home, then you can control your each and every device with a remote control. You can even operate your microwave, air conditioner, coffee maker, electronic gadgets, lights, window blinds and security systems with the same remote. It makes your life easier and comfortable. So now you can control your kitchen while watching your favorite movie. Suppose, you are watching your favorite movie and your husband is coming from his office and knocking at your main door, you can see your husband with the security camera and press the remote control for opening the door, so you do not need to lose your movie’s interesting climax and your work goes on automatically. Home automation system is controlled from one source and you can operate it from this particular area. Along with that, now you can control your house electrical gadgets and all components from your office and other places. When you are travelling and you are in the hotel room, you cannot see your home. Now it is possible because home automation system can be plugged in with your internet, and you can watch on your house from a secure website. You just need internet connectivity and you can access your house lighting system, air conditioner, television, security system and all gadgets from any place. 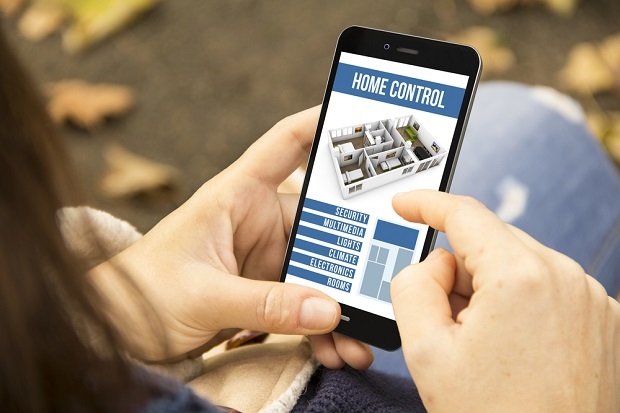 An updated home automation system has its own mobile apps and you can download these mobile apps as free from your apps store. It will increase your security system, and you can control your home and see your home in and outside when you are not present there. Along with that, mobile is the accessory which you carry all the time, and you can control your home with your mobile only. It is more convenient and easier option for you. You can save your electric consumption by home automation system. It might happen that, you have forgotten to switch off your lights and air-condition at the time of leaving your house. It can happen due to work pressure and hectic schedule. So you cannot return back throughout the day and your lights and other gadgets can remain switched on. Now you can control all these devices from your office. You can switch on and off your light, air-conditioner, security system and camera with your home automation system, and you can control these devices from a secure website from your office. How do you install Home Automation System? Now it is very easy to install the home automation system in your home, and you can find through the internet which offer different kind of home automation systems. But before installing the home automation system in your home, you need to consult with the company professionals and they will measure your home and suggest you the proper home automation system accordingly. So now protect your home and control your gadgets and equipment from long distance, with effective home automation systems. How Helpful is the Different Types of Auditory Training? OZ Information Hub is place where people can get quality information about home improvement, automotive, health, fashion, travel and lot more. Visit Mack's profile on Pinterest.